1 Blemished Available: $103.99 This item is available as a Blem/Refurb. These are items that cannot be sold as "New" merchandise and are limited to stock on hand. See the product details for a description of the product's condition. There is only one way to ensure you are 100% dry when mother nature decides to dump on you, and that is the slide into the one piece REVIT Pacific 2 H2O Rain Suit. 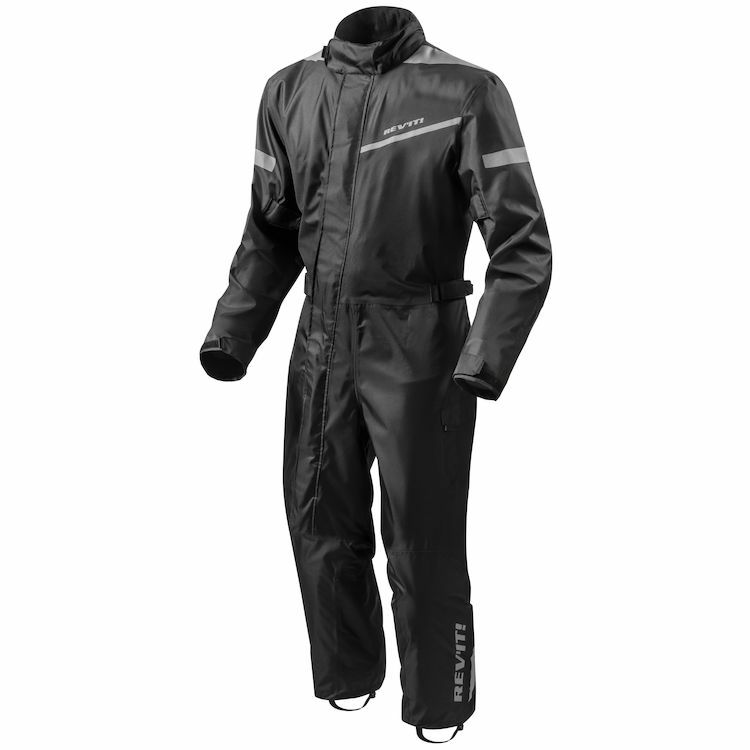 Fitted to wear comfortably over your riding gear, this rain suit is made of a ultra light and packable PVC-free polyester Oxford material that is 100% waterproof and breathable. The knee to neck slant zipper makes getting in and out a breeze and included stirrups hold the Pacific 2 in place when in the riding position, ensuring no water gets in your boots. 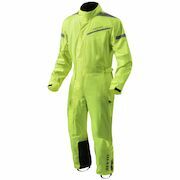 Laminated reflectivity keeps you visible in poor conditions and adjustments help keep things taught to mitigate the dreaded rain suit flap.